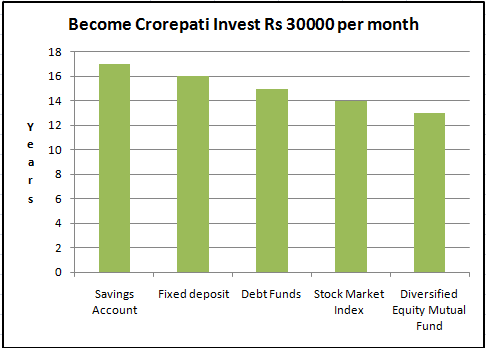 Becoming a crorepati in India or a Millionaire in the US has some kind of romance and enigma associated with it. From Bollywood movies to TV shows like Kaun Banega Crorepati being crorepati is associated with feelings like Oh yes I have arrived at a sense of entering the elite league. The league which smokes cigars drives convertibles on Marine drive and bets big on horse racing in Mahalakshmi grounds. 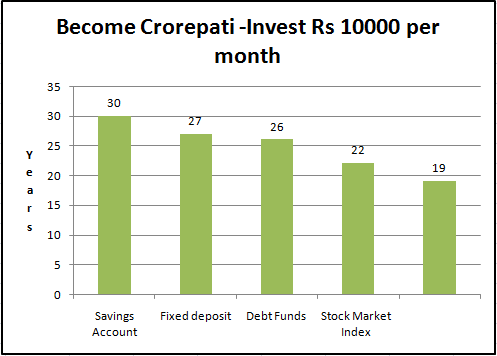 With increasing incomes and increasing inflation what you can get done with 1 crore has reduced considerably but the SWAG value of being called crorepati has not reduced one bit. 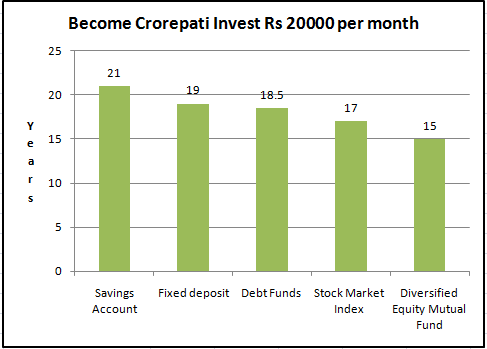 You are on the right path as a well balanced mutual fund portfolio can help achieve long term goals. You need to use STP to deploy lump sum funds you have. I have been reading some of you article and liked the succinct way in which you build out your recommendation – especially a recent article i read on Debt – Liquid funds. 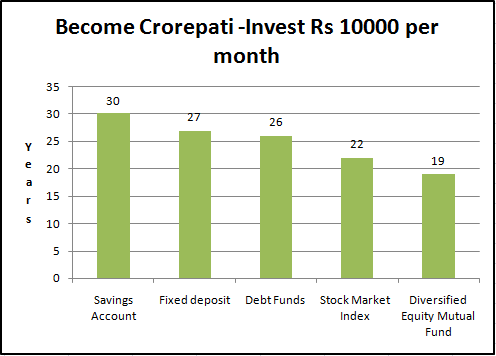 Apart from the above i started to save Rs.75,000 / month in MF (Large cap-60%, Mid-25%, Hybrid-10%, Diversified-5%) which i expect to continue. 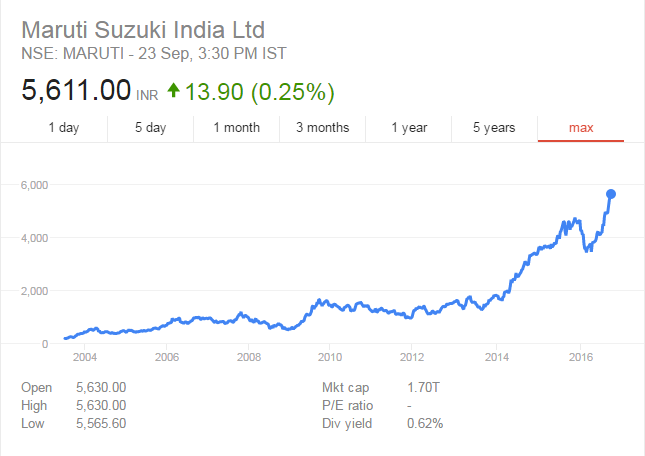 The objective of this investment is to save for both Child’s education and Retirement. 2. 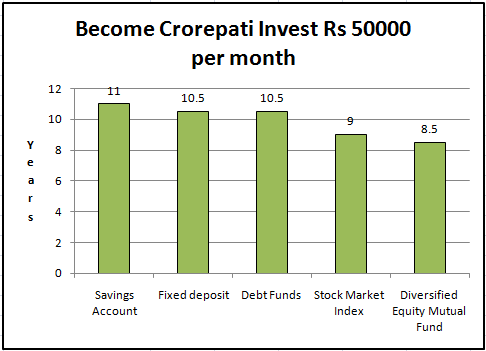 Is the SIP and the allocation good for the same objectives?